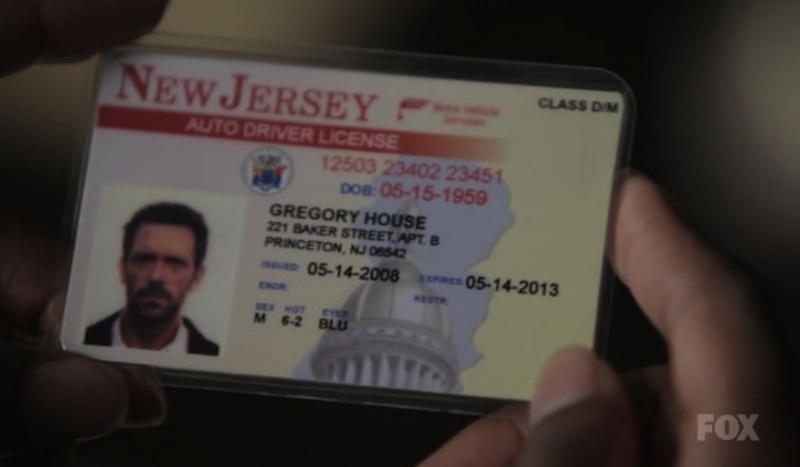 Wrong DOB on House's Driver License. His birthday is the 11th of June 1959, it's the same as Hugh's and we saw it on his nametag in Three Stories when he was ill and in the hospital bed.. HD Wallpaper and background images in the Dr. Gregory House club tagged: house md hugh laurie dr gregory house greg 7x13. ANDDDDDD He has the same address as Sherlock Holmes.